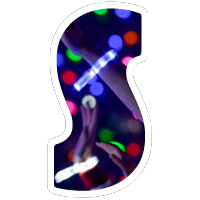 Xylobands are intelligent, radio-controlled LED wristbands that light-up on cue, creating new kinds of LED light shows the audience is wearing! 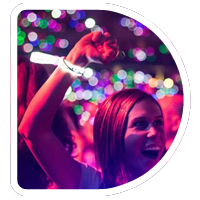 Xylobands have been experienced by over 11 million people, lighting up everyone, at all kinds of live events. 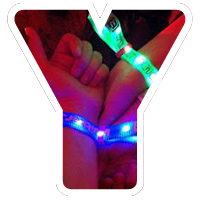 The original Xylobands are the most reliable and most ‘intelligent’ LED wristbands available. 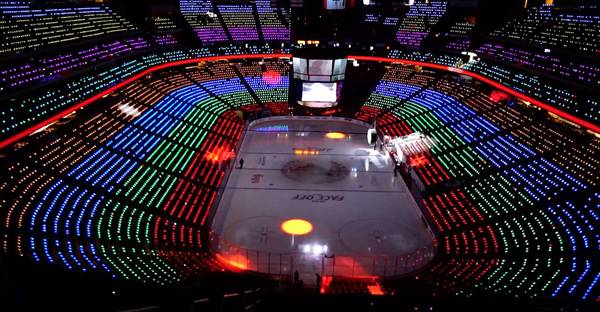 Made famous by Coldplay, Xylobands create spectacular LED light shows with live and pre-programmed control. 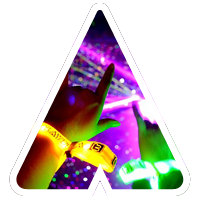 Every person becomes part of an immersive, shared light show with the brightest intelligent LED wristbands creating a group experience like no other. 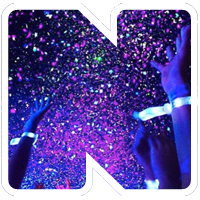 XYLOBANDS for EVENTS – All you need to know for your productions with Xylobands. 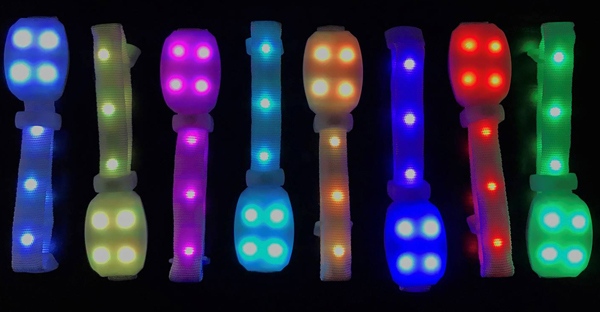 Each LED lighted wrist band has a receiver in it and it is ready to be turned on remotely by our Radio Frequency (RF) control system. 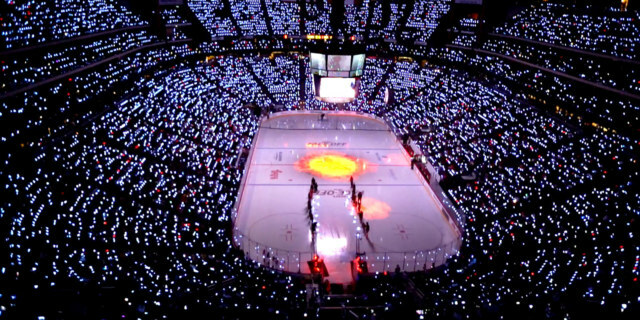 Unlimited programming and zones are available to create patterns of light and light effects that fill the event with color and motion. 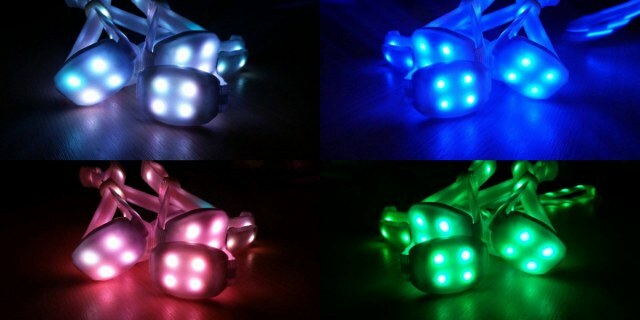 Each LED lighted wrist band can be turned on and off and made to blink remotely and on cue. 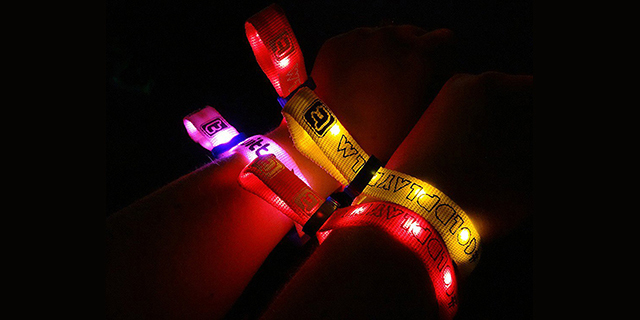 (Using our transmitter system) and a ‘walk-away’ effect leaves the LED wristbands lighting up for many hours. 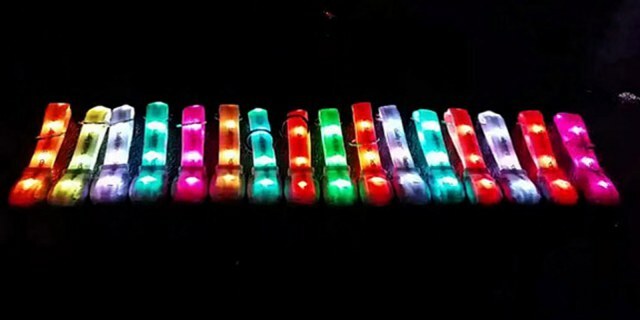 Xylobands use reliable RF radio-control and more LEDs in an extended wristband / antennae almost 10 inches long. 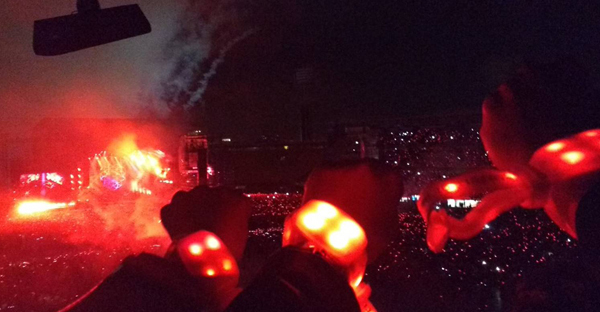 Xylobands are meant to be seen! 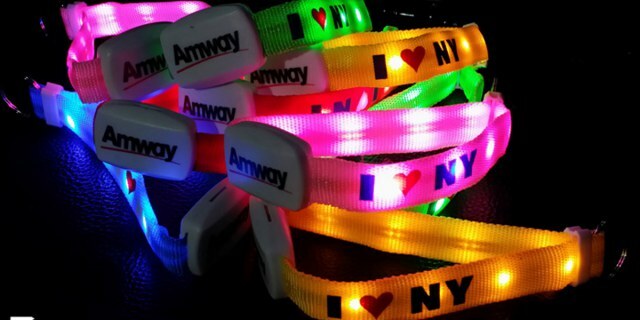 Xyloband Lanyards feature many more LED’s and enough light to illuminate a stadium! 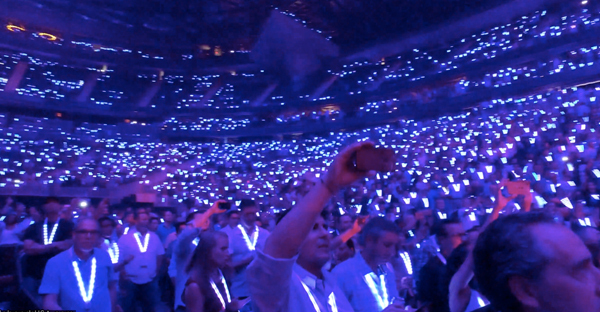 A single, ground based transmitter can control 50,000 Xylobands, no rigging or installation time required. 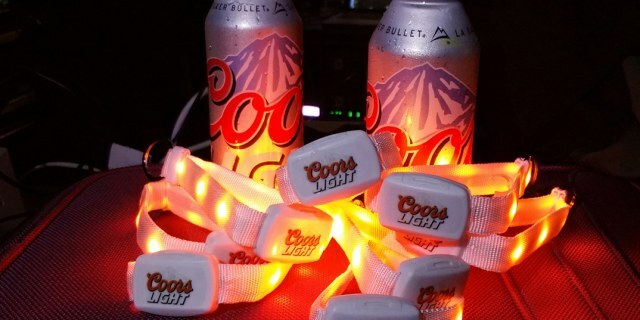 Xylobands are controlled live, or as fully pre-programmed shows, using time code, DMX. 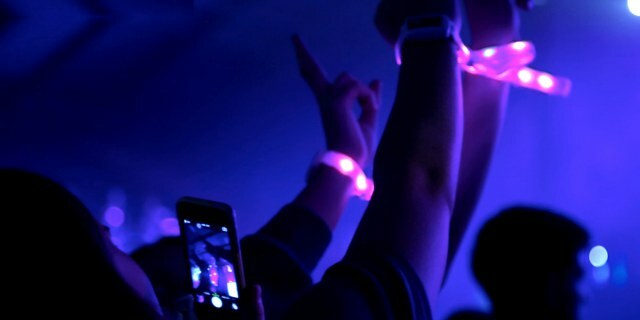 Xylobands set to sync with video, music, lights, or with each other, or DJ synchronized, unlimited options. 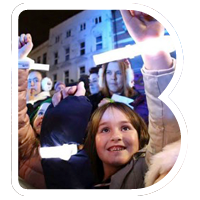 Light Up Your Audience whenever you choose. 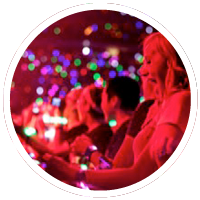 Advanced RFID features are available for your Xylobands – include a range of options for interacting with your guests. 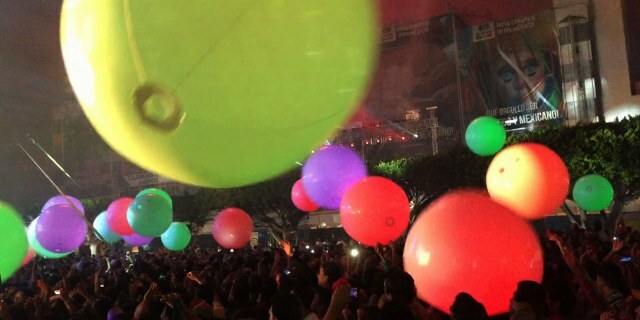 Event production with XYLOBANDS is as simple, or as layered, as you want. 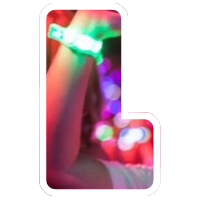 Details are here for all your event planning; ordering, branding your Xylobands, and more. 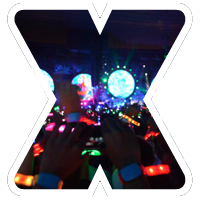 Consider creating customized programming to showcase how Xylobands can light up different colors and individual wristbands, taking your event to the next level with live interaction! Give us a call at TLC and we can answer any questions!